Most of you may try to bleed radiator yourself but do you know that most radiators have a bleed screw at the top of the radiator. Most of the time they are positioned at the ends of the radiator and sometimes they are on the back. Radiator bleed keys are normally made of soft metals such as Brass or alloy. We can briefly tell you how to bleed radiator. 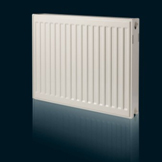 When doing it you need to ensure that the central heating is switched off before bleeding or this can introduce even more Air into the system. It's a good idea NOT to bleed radiators with the central heating pump ON - if you do, there's always a risk that air might be drawn into the system making your problems worse. If you have a header tank ensure that the water supply is not isolated to this tank then Top up the boiler if necessary! However, note that bleeding a sealed system will reduce the pressure which will need to be adjusted afterwards - this is normally done by turning on the mains cold water feed to the system as mentioned in step 6 below. 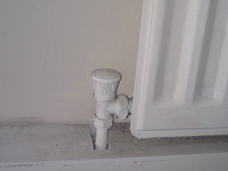 Confirm before starting the bleeding process that you know how to re-pressurise the system - if in doubt, consult a heating engineer or proper registered plumbers like us – it’s best to call gas safe (corgi) registered plumbers like us - Advanced Professional Plumbing & Heating to take care of all this for you. 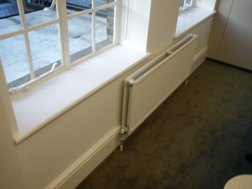 What type of radiators that gives you hassle – you can explain this to our friendly team when calling!